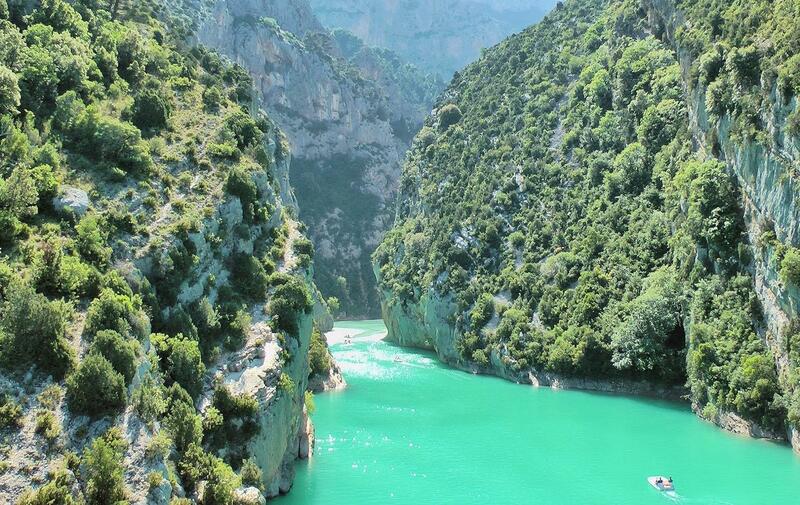 Discover the Verdon Gorge from the hotel Grand Canyon du Verdon ..
Just outside the hotel, ideally located in the heart of the remarkable natural site of the Verdon Gorge, is the departure of the long distance hiking paths. 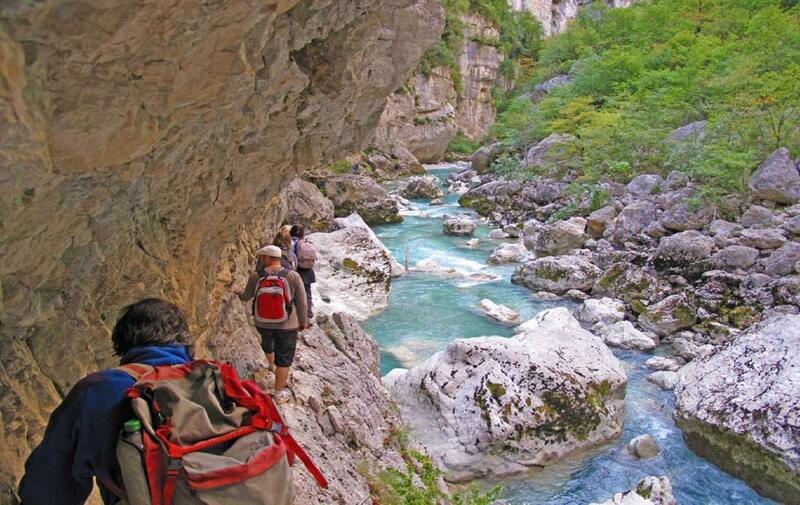 Among them, the Cavaliers trail leads to the Verdon river in 40 minutes, where you can reach the Imbut trail, the most beautiful canyon hike in a 4 to 5 hours return, trip from the hotel. 20km away, t lake Sainte-Croix offers a multitude of water sports and pleasant swimming in an exceptional environment. 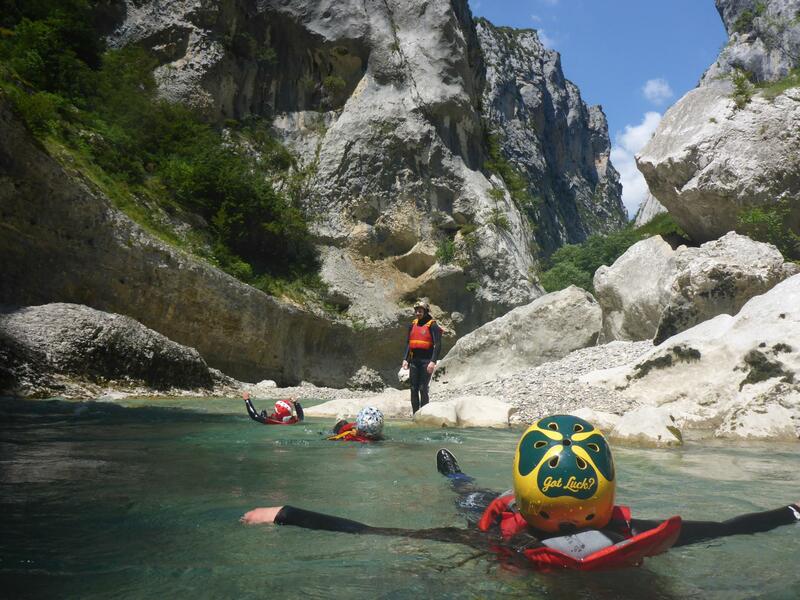 All lovers of fresh water sports know the Verdon well because it is one of the mythical places for practice of canyoning, hydrospeeding as well canoeing and electric boating. Small or large, with family or friends, on one of the lakes or on the Verdon itself, each one finds an activity adapted to his desires. 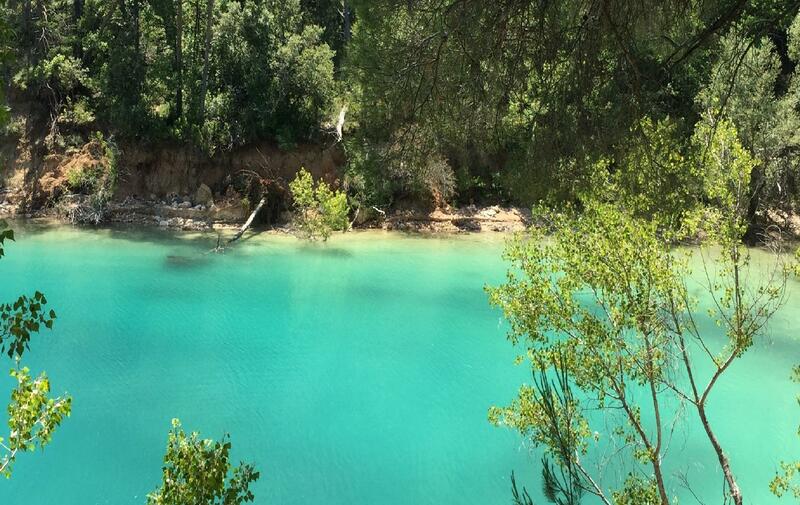 The most beautiful canyon in Europe invites you to discover its sumptuous natural landscapes as well as its villages, such as Moustiers Sainte-Marie, Sainte-Croix du Verdon and its crafts.